The old 80/20 rule – 20% of customers drive 80% of sales – doesn’t apply to restaurants where 20% of customers represent 60% of the trips to eat out and generate 66% of the overall spending according to a study by Cardlytics. That’s why tourism is so important to restaurants because $1 out of every $3 in food and beverage sales nationwide is visitor generated. The ratio is even higher in communities such as Durham, North Carolina, which have earned reputations as “foodie” destinations. The 80/20 rule is more like 60/20 for other visitor-reliant industries as well include shopping, groceries, convenience and gas. Even with locals though, the study reveals that frequency is not the same as loyalty. In dining, for example, high frequency customers tend to dine at several favorites, while customers who dine less frequently may use one particular restaurant. The analysis shows that overall, 56% dine at the same restaurant less than half of the time and 44% dine at the same restaurant more than half of their dining trips out. There are few more complicated businesses to run, especially the locally-owned, independent restaurants that contribute to making communities distinct. Even the franchises, which tend to eat away at sense of place by making communities the same, are no piece of cake to run, which may be the reason these businesses seem so prickly when it comes to shouldering their fair share of the cost of creating community visitor appeal. In Durham, out-of-town franchisees have sought to undermine our billboard ban and ordinances to reduce sign blight. They invested heavily to defeat a 1% prepared food tax that, in part, would have helped clean up the litter they generate. Nationwide they are among the first to fuss about the minimum wage or providing affordable healthcare. I agree with several restaurateurs in Durham who believe that business models in many visitor-related industries that rely on low wages are flawed. Franchise owners, which an observer recently equated to sharecroppers seem to be the most virulent in opposing to paying a living wage or even increasing the minimum wage. In late 1967, as a teenager with a newly minted drivers license, one of my sisters went to work part time at a cookie bakery for $1.40 per hour. Adjusted for inflation though, she was making $11 an hour today. Back then the minimum wage was enough to lift three people out of poverty, today, it is barely enough for one. Today’s minimum wage is nearly $4 lower than in 1967. Several dozen studies now show that increases to the minimum wage have a nominal effect on jobs or prices. Restaurants are a minor exception. Researchers have found that for every 10% increase in the minimum wage, there is a 0.7 cents increase in restaurant prices. So the increase to $10.10 currently under discussion might result in a less than a 28 cent increase in restaurant prices. Oh my! I am sure at the margins some economist will find a sliver of a fraction who won’t eat out because of the increase, but that will be overwhelmed by the number who will dine out more because they can afford it. It reminds me of the brouhaha in New York just as I retired a few years ago from a career in visitor centric economic development, when that city required all cabbies to accept credit cards. What happened? Cab revenues went up 13% and tips rose from an average of 10% to 22%. Now, technology is not only disrupting businesses such as cabs with services such as Uber just as Airbnb is disrupting economy lodging, but it is also now making cash registers and check out lines obsolete as well as changing what we know about tipping. In fact, the app Square, which allows anyone, including a far greater number of employees in stores and restaurants to check people out, saving time for consumers and employees. In its fourth year since launch, the company already has enough information to break down tipping rates and participation by state and even down to some large metro areas. Square gives an individual or business user the ability to set screen buttons with a range of tipping options, and there is evidence it is increasing tipping as a practice and the amount tipped. The average tip nationwide is 16.1% compared to North Carolina where I live which ranks third among states at 16.7%. But keep in mind that more than 46% tip nothing at all, a percentage of “stiffers” that climbs to 6-in-10 in some states. Before getting too judgmental, it is important to note that tipping is a learned behavior. If you didn’t learn how from your parents, a good guide to follow the example of how people in service industries tip one another. Tipping in some service industries began as a way to incent service, but unfortunately underwent a sort of “bait and switch” in some business models as an excuse for owners and managers to pay less than minimum wage. I lean toward a mandatory minimum wage but I know it isn’t a panacea and I can empathize with those who have a distaste for anything mandatory. But this is an area where the free market is inefficient. As an alternative, maybe like-minded businesses could also borrow something from the coffee sustainability movement spearheaded from Durham-based Counter Culture and begin to brand themselves as “Fair Pay” or better yet “livable wage” businesses. Fairness is a shared value among Americans. It is just that some of us think of fairness as distributive, some of us think of it as proportional and some of us think it should be both. I agree with many who believe this issue isn’t going to go away. I also agree that paying a fair minimum or livable wage should not enable or be an excuse to retain disengaged workers. That is an entirely different and equally important issue. One is macro, the other micro. I keep coming back to a study published a few months ago by researchers at Cornell and Stanford entitled, Residential Segregation by Income, 1970 – 2009. The span begins shortly after my sister took that job for $1.40 at the cookie bakery. In that span, the percentage of families living in middle class neighborhoods fell from 65% to 42%. A few moved up, the vast majority fell back to low income and poor areas. That big a shift is something that should concern all of us. Between the ages of 20 and 30, I went from Republican to Democrat to Independent. A new Pew study refers to that as becoming “unmoored” as I did from several institutions during that period including organized religion. According to the study, 50% of Millennials, a generation now ranging in age from 18 to 33, are political Independents and about 3-in-10 are religiously unaffiliated. However, they also stand out as voting heavily Democratic and for liberal views. They are also far less trusting than other generations, especially boomers, my generation, but also more upbeat about the future. The study sheds light on why Republicans are so desperate to take away privileges they see as benefiting Democrats such as early voting, funding check offs on tax returns, voter ID requirements, etc. The party is losing ground even faster with Millennials than Democrats. The study charts the rise of Independents among every generation in recent years and the dramatic drop in every generation except the very oldest for Republicans. Boomers, for instance, are now 37% Independent, 32% Democrat and 25% Republican, although a new survey shows Americans who are 65 and older now leaning slightly Republican, unfortunately because they are more white the analysis finds. In North Carolina, where I live, Independents are now the fastest growing group, and consultants project these voters are likely to outnumber registered Republicans in most counties by 2016. Independents leaning Republican are also in decline among younger generations, flat among boomers and up only among the very oldest of Americans, giving thought that those using the old saw mentioned above should adjust the age of transition by several decades. After years of nomenclature demonization, more than a little of it self-inflicted, it is interesting to note in the study that the percentage identifying themselves as liberal has trended up in every generation during this century while favorable views of the major parties have trended down. Maybe Republican demonization of government has had unintended consequences. Millennials are much less patriotic than other generations as well as less likely to consider themselves religious or environmentalist and far less loyal to employers. They are becoming “unmoored” from Republicans as well. It was painful last month listening to a city administrator, one of the best, explain to city officials in Durham, North Carolina where I live that our community’s cemeteries have once again fallen into neglect. The reason? Because its funding has been short changed funded over the years similar to nearly every area related to general upkeep and appearance, so much so, that there had only been barely enough to cover burials. It is emblematic of 75 years of neglect that is threatening Durham’s sense of place and the economic development potential it leverages. I learned recently from Ellyn Shea, a certified arborist and urban forest activist who blogs on Green Infrastructure and Arborism that in 1825, park-like cemeteries as we know them today evolved even before urban park systems as a fusion of nature, art, reverence for the dead and education. They are an important part of our urban forests, sequestering carbon, controlling climate, and cleansing air and storm runoff; a gift of life to those of us who remain from those who have passed on. Cemeteries are also places to get in touch with the roots of a community, which is why we included them in inventories of things for visitors to see and do. 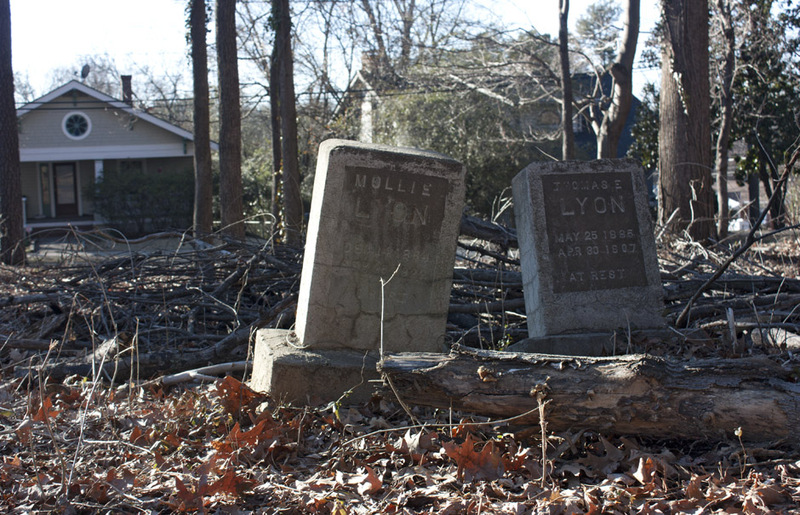 An element of Durham’s sense of place is not only the historic cemeteries such as Maplewood, White Rock and Geer - a slave cemetery - but hundreds of small, rural-like family cemeteries sporadically located in roadside groves throughout the city and county. Their neglect is a lesson taught many times but never learned in any enduring way by city officials, dating back decades before my relocation here twenty-five years ago to jumpstart and lead Durham’s first official community marketing agency. We were charged with protecting Durham’s sense of place by leveraging it into visitor-centric economic and cultural development, a career from which I retired nearly five years ago. At that same time, Durham officials organized the Durham Service Corps (DSC,) a year-round program for young adults ages 18-23 as one of twelve across the nation to adapt lessons learned from the Civil Conservation Corps of the 1930s to help at-risk youth. Reclaiming Yesterday -The Geer Cemetery Project was just one of a number of remarkable DSC projects before it faded a few years after from lack of funding and capacity, a victim of Durham’s fixation with grants-driven projects, an approach that leads to the thinning, if not cannibalization, of sustainability. It had been passed to me by a wonderful DCVB board member and City Council member at the time, Betsy Robb who is buried in Maplewood Cemetery here. Looking down the names of DSC board members listed on the cover sheet reminds me that I worked over the years with many of these individuals. From day one, the organization has made a practice of archiving content that would be used to deepen and enrich what is now know as “content marketing,” an array of 16 tactics that has since surpassed advertising in both use and effectiveness. The DSC Geer Cemetery project is an excellent example of fusing community clean up with curriculum development while teaching at-risk young adults about life and career skills such as analysis, project and time management, strategy-making as well as how to interview and synthesize information. In this project, the participants literally had to resurrect the names and backgrounds of the former slaves buried in Greer Cemetery, which isn’t on Geer Street but on Colonial Street between McGill Place and Camden Avenue. It also exposed them to careers in landscaping, research, archiving and curation, urban forestry and data management as well as instilling a respect for heritage, community, nature and sense of place. A deficit of the latter may be why officials before and since have failed to adequately fund upkeep of the community. The report is very through and many today would benefit from the three lesson outlined. The project’s success is based on several principles including that pre and post discussions surround skill building as much activities. Once grounded, deep learning is stimulated by related activity and then writing about it as well as evaluation. While Durham allowed being on the forefront of this movement to slip away, organizations such as DSC have continued to thrive elsewhere and their effectiveness is regularly documented. For fifty years after the Geer Cemetery’s closure, it suffered neglect by officials. It is painful to read just how deep that neglect had become in the DSC project recap. Of course this was just one of many intriguing DSC projects during its brief existence including clearing urban streams, painting public facilities, building compost bins, restoring structures at state historic sites, blazing nature trails and mentoring troubled youth. Cemetery neglect is just the most irreverent example of how neglectful Durham has been overall concerning its green infrastructure going back at least eight decades, with the exception of one stretch. From the mid 1980s until shortly after the Geer Cemetery project when DSC was allowed to fade away and neglect once more took hold, Durham rose up against blight, banning billboards, curbing other sign blight and executing a remarkable, “best practice” scenic overlay over a major new highway. Taken together though, urban forests, waterways, parks and open spaces, grounds around public buildings, roadsides and medians have suffered as much or more than cemeteries both before and since so much so that for many it has become a norm. Most disturbing is that no other area of local government responsibility touches more areas of community including poverty, public safety, racism, public health, economic development, community engagement, property values and neighborhood vitality. The most significant testament to Durham’s sense of place is that is has endured in the face of this neglect. An Experian Marketing Services report this year shows that 89% of U.S. adults now use a mobile phone during the course of a week compared to 97% who watch television. The gap is only two percentage points (96% to 98%) for individuals in households making $100,000 or more. The report is quick to point out that Americans spend three times longer watching television. But parity is obviously in sight, and when weighted for fragmentation, mobile may, in fact, already be in the lead. They didn’t even bother to measure outdoor billboards which now influence less than a fifth of one percent to purchase, while generating a 7-to-1 adverse reaction. Email marketing, unpaid social media, online display advertising, print advertising, direct mail, mobile app, search and radio, in that order, all are considered to have more influence than television. By far, websites are now viewed to be the best bet for influencing and closing sales. They have all but closed the gap with advertising as a means of creating awareness, and coupled with search marketing they stand alone as the best way to create awareness. But any marketer today must be cognizant of not only how we use our time but also for what is collected and detailed in a report entitled, The American Time Use Survey. A visualized report of some of the basic activities is shown by age group on the website Datawovn. A new report by Digitalsmiths, a Tivo company, illustrates the dilemma of using television. It shows how many used streaming services and/or pay-per-view but also how much time is spent surfing, how few people know what they are going to watch when they first sit down to watch and how few channels they use regularly. It is also important to know when people are on the Internet, broken down by device or when smartphone users check email during the day. Compare these charts back to the one linked above showing when they watch television or listen to the radio and it becomes clear how mobile offers more accessibility and is better across all measures. Mobile also requires new metrics. It isn’t just about eyeballs but engagement. Adobe has provided an excellent primer on those metrics in its periodic Social Intelligence Report. In fact, Adobe has transformed itself into one of the most savvy content marketers when it comes to useful webinars, reports and white papers for marketers. These are challenging times for marketers. Many have been left behind, using obsolete channels because they are too lazy or can’t keep up, while others seem overwhelmed by the pace of change. The paradigm has shifted. Hopefully these links are useful. Early in my career that spanned three community destination marketing organization (DMO) start ups, I received some sage advice from an ad agency exec and friend. Even though these kinds of organizations and DMOs employ the same skill sets, thinking I might cut some corners while getting up to speed, I initially tried to use outside agencies for services such as graphics, PR and advertising. It was never as effective as when, after a time, I was able to bring those services in house. Each time I would recall my friend’s advice. He told me while the skill sets are mutual, a DMO uses them to “drill down a mile deep but only an inch wide” while agencies “drill down only an inch but a mile wide.” This is necessary in order to be able to service a variety of clients which, unlike DMOs, do not have marketing as their primary product. For this same reason, people schooled in agency work never seemed as productive when I hired them from time to time, thinking we’d leapfrog the learning curve. I’m sure for the same reason, few schooled initially in DMOs work out in agencies. They could be tactical but not always strategic. I am sure the same has been true in reverse. Thinking strategically with the ability to execute should be an inherent part of destination marketing, which is by definition, umbrella-like in nature. In agencies, strategy is more often a specialty or handled on the client side, or dealt with less holistically. A study published in Harvard Business Review this month cites strategic thinking and execution falls behind only leadership as the executive skill most sought by search consultants. This is why the failure to be strategic is the single most common underlying factor when destination marketing underperforms for a community. Where it is found lacking, it stretches from not only the CEO, but through the governing board and local officials. It is also why so many individual businesses in the tourism sector fail to fully leverage their community’s destination marketing. A DMOs work is strategic, while the primary beneficiary businesses and organizations are tactical by nature. Failure to grasp these roles on either side often leads to snarky commentary, less frequently heard today, but usually over which entity gets credit for a booking. In reality, it is both. The DMO draws the attention to the community, individual businesses then harvest their share. In fact, research continues to show that even with so-called B2B (business to business) transactions such as decisions by meeting planners about where and at what location to hold an event, 60% of those purchase decisions are made before ever having human contact. Even within DMOs, where the challenge has always been keeping group sales and marketing from “siloing,” new research shows these functional areas of marketing must strategically work hand in hand, just at different points of the decision funnel or cycle. It has been nearly 15 years now since the authors of The Cluetrain Manifesto signaled that marketing was no longer about yelling louder and louder, but it is about a conversation. That may have also marked the end of advertising which began to tip negative 15 years earlier. It marked the emergence of what we now group as “content marketing” which had been gaining steam for a decade before that, at least with me and the organizations I led. Another way to think of content marketing is when DMO’s become publishers. But as often noted, content marketing for a DMO is about providing substance and value not volume, about drilling down past the superficial or the obvious to leverage tangential connections. Failing to stay on top of this is where even the most content marketing savvy DMO can lose that franchise in a heartbeat. It is also why it must be embedded as a core strategy, not farmed out or given to those who won’t bother to dig down. As Tom Martin writes in his book entitled, The Invisible Sale, a cornerstone of content is understanding that it is an ecosystem. Many tactics can be leveraged over and over for additional content, months after larger pieces have been published. Far too many DMOs suffer a kind of attention deficit and rush off to the next piece without also fully leveraging content. Worse, when later creating new pieces, they forget to even go back and reference others. 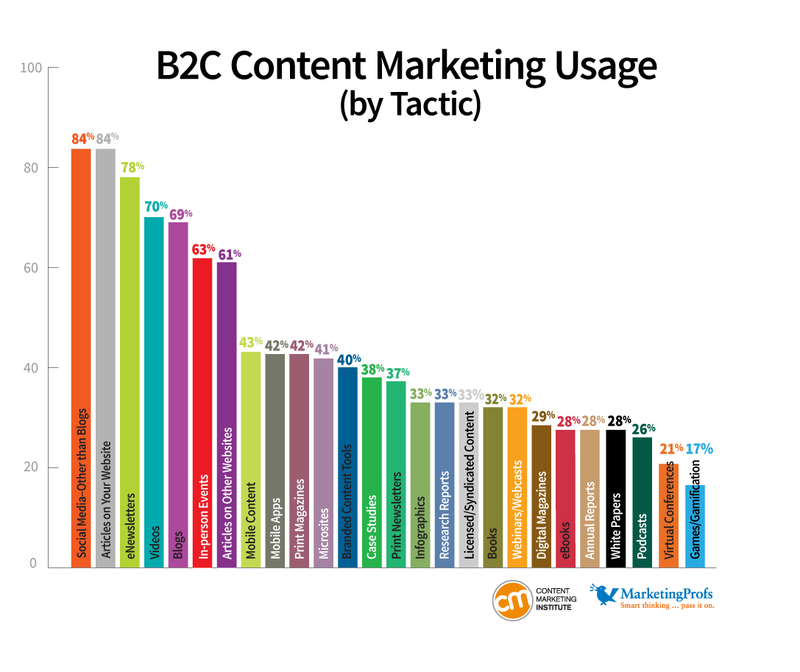 Content marketing is as prevalent now for both types of consumer but 9-in-10 marketers overall now use an average of 12 tactics for B2C and 5 to 6 for B2B. But DMOs should take note that B2B consumers such as meeting planners are even more sensitive to fluff. Eric Siu who blog about start ups and interviews entrepreneurs at Growth Everywhere notes four big misconceptions that undermine contention marketing efforts, especially that which is targeted to B2B. He is is so right when he notes that a big problem is the failure to leverage it. “Once and done” is due to “list checking” rather than seeking to leverage organizational archives to enrich and deepen content. Another mistake is failing to follow up and deepen content as new information becomes available. Marketing is no longer about “more, more, more” as it was when advertising was effective but about depth and value and conversation at every touch point. If you’ve gotten this far, you are probably not among the 42% of marketers who fail to measure marketing ROI at all according to a Duke University study. But measurement of content marketing is moving beyond traditional ROI to the deeper value at points along what Robert Rose calls the “consumer engagement curve” in his white paper “Built to Change: New Models for Management of Consumer Engagement. This may have been running through the mind of Apple CEO Tim Cook recently as he responded to pressure from a right-wing special interest group holding stock, to not pursue any environmental initiatives that didn’t improve the company’s bottom line. That was a genius bit of strategic thinking and content marketing and shows Cook’s understanding of where his customers engage. Other stockholders applauded too and voted the proposal down. It isn’t always about ROI, and marketing is definitely no longer just about “banging the drum louder and louder,” although many slow to catch on will probably help keep desecration marketing via billboards on life support. ROI has never been an issue there anyway. My first encounter with the term, “sense of place” was in 1985 or 1986 while reading an incredible essay by that name. The author was Dr. Wallace Stegner, who had retired from Stanford in 1971 just after I took my first assignment, while still in college, in a field that would become known as Destination Marketing. Until I read Stegner’s essay I had fumbled with how to describe the approach to community destination marketing taught to me by my first two destinations, Spokane, and at the time, Anchorage. It was a knowing for me that was translated into community marketing. That was bookended two decades later when hearing “The Geography of Somewhere” by Dr. Scott Russell Sanders, a few years before retiring. Don’t worry, the statement is meant to make you stop and think, and Stegner goes on to explain what his former pupil meant. Berry returned the favor in a wonderful speech about sense of place in a lecture entitled, “It All Turns On Affection,” which was delivered the year before last to the National Endowment for the Humanities, which also happens to have a research center in Durham where I concluded my career and still live. The speech disturbed some conservatives who obviously hadn’t read Stegner’s essay, when Berry used the words “stickers” and “boomers” to describe two kinds of inclination Stegner assigns to Americans. “Boomers” are transient, often motivated by greed. “Stickers” are motivated by affection for places and the desire to shape and preserve their distinct personalities. “Boomers” by nature push to make them the same. There are people in the area where the two intersect. Some people, such as me, are transient but respect and advocate on behalf of sense of place. Others in this intersection are “boomer” enablers, chipping away at the distinctiveness of the places they love. However well intended, boomer enablers fail to grasp what Robert J. Gibbs, a retail consultant and author of the book entitled, Principles of Urban Retail Planning and Development, calls Plan A, B, or C.
I traveled recently to Salisbury, North Carolina to hear a presentation by Ed McMahon, a friend, fellow-scenic preservationist and a senior fellow at the Urban Land Institute. Ed’s presentation included several examples of chain stores, fast food restaurants and big-box retailers building or adaptively reusing building in keeping with the community character where they are being built. Of course the built environment is only one characteristic of sense of place, alongside cultural and natural place-based assets, but it is the one where strongly inclined “boomers” and their enablers can do the most irreparable damage to all three. Communities such as Durham are known for sense of place. It is a pillar of their visitor-centric economic and cultural development spearheaded by community destination marketing. But it seems for every two steps forward there is always one step back, usually brought about by a failure to think strategically or consider unintended consequences, such as the closing of Charlie’s, a mainstay on Ninth Street, brought about by increased rents spurred by chain store development across the street. A few who fail to understand that the motorcycles parked outside cost $30,000 to $40,000 and more, will fail to grasp that the organic nature represented by Charlie’s is far more appealing than chains to the Creative Class, according to research by Dr. Richard Florida. That’s how columnist Michael Wolff, the former editor of the trade publication, Adweek, described the significance earlier this month of a Disney decision to formally permit ad-skipping technology. 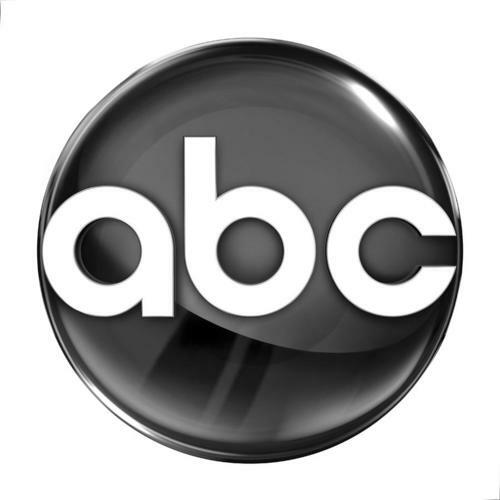 By revenue, Disney is the largest media company in the world, owning more than a dozen cable networks and the ABC network, which owns the TV station in Durham, North Carolina where I live. Disney is the first of the traditional television networks to make this move. For some time, television overall has been weaning off advertising and toward revenues from licensing fees, just as savvy marketers have been moving away from advertising as a means of reaching consumers. A similar calculation was made by the new owners of Newsweek magazine when they decided to resurrect the print version based on a subscription model, something many other publications are doing with both digital and print versions. Of course, they don’t, not any longer. He may be harkening back to the day of “bang the drum” marketing when advertising, which is just one element, was confused with marketing overall. There are now many more fruitful and authentic ways than advertising (which is a form of yelling) to reach consumers. “Great works deserve a great spotlight” is a rationale for marketing that I first heard used by Chip Bell, author of The 9 1/2 Principles of Innovative Service. But marketing for all but the laziest, zombie-like marketers, long ago ceased to be about reaching the most eyeballs but reaching the right eyeballs with genuine, credible and valuable content. Advertising’s decline began in the mid-1980s. Within a decade it had been surpassed in effectiveness by other elements of marketing including earned media and content marketing. Today, advertising is measured as having a negative return on investment. Retail consumers rate it last in influence with a negative-to-positive ratio of 7-to-1. Studies also show that 60% of consumer and business-to-business purchasing decisions are made before ever making contact with a human being or seeing an ad. Even ads place during the Super Bowl have a 5-to-1 turn off ratio compared to the 8.4% of viewers who buy the products or services advertised. The days of “yelling” are over. Online advertising, too, is struggling to avoid what happened long ago to outdoor billboards. They continue in obsolescence to blight communities and roadsides by seeking favors from government even though research shows they are now rarely viewed and used by only one-fifth of one percent of consumers to inform actually buying something. Experts estimate that nearly 2 trillion online display ads were paid for by advertisers in 2012 but not seen, not unlike the nation’s more than one million billboards have become invisible. The problem with advertising is not just that ads are notoriously difficult to measure, but that inundated now by nearly 10,000 a day, Americans have just tuned out. Disney hasn’t spelled the end of advertising. The advertising industry’s greed and “more, more, more” mentality has, a lesson hopefully learned as mobile devices take everything hyper-local and makes relevance supreme. Wolff also points to studies showing that viewing advertising is a learned and habituated activity. And the rate at which Americans are “unlearning” this habit is growing far more rapidly than even the most ambitious analysts have projected. In an ironic way, the television audience is rapidly bifurcating. First aired by MTV, which in 1991 was looking for something to supplant music videos, which had lost their hypnotic appeal, the now ubiquitous reality television shows appeal to 75% of Americans who are poor but to only 5% of those who are very well off. More than half of Americans now record live video content so they can skip ads through a number of technologies, the fastest growing of which is streaming television services where for a very small monthly fee, viewers can watch what they want, when they want. Ad-free streaming television subscriptions, including nearly 50 million now on Netflix alone, (click here for an article in The Atlantic on how Netflix reverse engineered Hollywood) are now running neck and neck with those subscribing to premium cable channels. One consumer behavior driving the shift is binge watching. More than 7-in-10 streaming subscribers describe binge watching as watching 2-6 episodes of the same TV show in one sitting, something done by more than 6-in-10 who stream TV at least once a week. Binge watching emerged about five years ago. A friend and I happened to try it by viewing all 121 episodes of Lost, an acclaimed ABC televisions series neither of us had watched during its initial 5 season run, over a period of a few months. Netflix recently sent Dr. Grant McCracken, an MIT cultural anthropologist, into the homes of TV streamers to learn why they binge watch. It turns out, according to his analysis, that even in the age of micro-blogging 140 character tweets, human beings crave long narratives. Binge watching provides that. I certainly agree that watching a season of a good series, even over the course of a week or two is enjoyable and far more preferable to watching advertising-laden versions. Free to choose content and the time when they will watch it means they become more engrossed in narratives, usually with at least one other person, rather than zoning out and mindlessly flipping from channel to channel. Now about reclaiming those roadsides! All of my great-great-great grandparents were born and spent their early years in the glow Americans felt from the incredible feats of the Corps of Discovery led by Meriwether Lewis, an Irish immigrant and Virginia native William Clark. It occurred to me this month that I was born and spent my first 18 years along a segment of their route, crisscrossing it often, just as I do these days on annual cross-country trips with my English bulldog, Mugsy. From 1804-1806, the 33-member Corps (several key members such as Sacagawea aren’t included in that count) was the first to explore up the full length of the Missouri River and then across the Rockies to the Pacific Ocean and back. The only Corps fatality was Sergeant Charles Floyd, not to be confused with Dr. Charles Floyd, a retired University of Georgia business, real estate and property professor, friend and founder of both Scenic America and Scenic North Carolina who lives not far from Cleveland, North Carolina. Lewis and Clark held frequent votes along the route to make decisions. One such vote on November 24, 1805 is marked as the first time in North America that both a woman who was also Native American and an African American, were allowed to vote, albeit both were slaves. The expedition crossed into what is now Idaho at the Lemhi Pass through the Bitterroot Mountains about 140 miles further up the range of mountains from our ancestral ranch near the Tetons. This is near where they met up with Shoshone’s led by Sacagawea's brother, a chief who sold them horses. The expedition then crossed the Rockies where they are the most dense and daunting, across what is now the Idaho panhandle. They almost perished here travelling west, rescued by Nez Perce, who also guided them through on the return, down what is now U.S. Route 12, a spectacular 174 mile scenic byway. If you want to see it, better hurry though, for there is talk of clogging this national treasure with shipments from oil sands in Alberta to Billings for refining. Work began on creating this highway in 1920. It wasn’t completed until 1962 when I was 14 years old, and it seems a sin to put it at risk. It is at the eastern end of this route where it drops down to a location in what is Montana known as Traveler’s Rest State Park that Lewis and Clark split the Corps along two routes for the month of July, with Clark’s group trekking along the the opposite side of the mountains separating our ranch from what is now Montana. By the time the Corps reached what is now Hensler, North Dakota, about forty miles north of Bismarck, they ran into traders and hunters who were already heading up the route they had blazed based on reports the Corps had sent back during their journey west. One of the earliest to travel the route blazed by the Corps of Discovery was Captain Andrew Henry, who became the first person to cross down into my native nook of Idaho which points into south central Montana and northwestern Wyoming, establishing Fort Henry there in 1810. Near St. Anthony, Fort Henry was also the first building erected by an American in what is now Idaho. According to new digital examinations of maps, Dr. James Allen believes Henry was the first both to see the Tetons and to cross over into what is now Jackson Hole. Imagine just happening onto that spectacular and iconic 40-mile stretch of Rockies. Within a few decades, all but one of my great-great grandparents and several great (3) grandparents were also headed west in wagon trains to settle along the western shadows of the Rockies. Mugs and I are preparing for another cross country road trip there this year. Each one has been via a different route or variations to ones we’ve taken before. To prepare, we’ve been re-reading Undaunted Courage: The Pioneering Mission to Explore America’s Wild Frontier by the late Stephen Ambrose and watching the spectacular National Geographic documentary re-enactment of the Corps’ route on Netflix. As narrated by Jeff Bridges, it was “the equivalent in its day of a journey to the moon.” For Mugs and I, it will just be retracing my roots. On October 27, 1969, my parents met my plane as it landed at Seattle-Tacoma International Airport. Except for one or two weeks, I had been away from home for more than two years. The world had changed. I had changed too, and it was good to set foot again in the Pacific Northwest. That day I was one of fewer than 14,000 people to pass through that airport compared to the nearly 100,000 who pass through it each day now. By contrast, 24,000 people pass each day through RDU, the airport co-owned by Durham, North Carolina where I have lived the last 25 years. In arrival greetings and other communication and marketing materials, airlines often confuse cities and the airports that serve them. Airports are merely portals, and as it was for me that day in 1969, the final destination for most arrivals lies well beyond their primary cities. But hosting 100,000 people a day and providing them with water, food, shopping, entertainment and security, not to mention solid waste and other sanitary disposal, makes a facility like SEA-TAC much like a city. Most airports don’t make it convenient to recycle but SEA-TAC has been a leader in recycling over more than two decades, not just on the passenger side but also behind the scenes for its restaurants and what is called off-aircraft - the trash, food waste and other recyclables cleaned out of aircraft before they continue on. Seattle, one of the cities the airport serves, is well known for coffee and not just as the home of Starbucks. SEA-TAC collects more than 12 tons of coffee grounds each month from more than 60 airport shops using special bins. The grounds are mixed with yard waste and sent to a composter, the results of which are then used on the airport’s landscape. Cooking oil is collected and sold to convert to biodiesel. More than 20,000 unopened meals are donated annually, and the scraps captured from passengers, shops and aircraft are recycled. Airlines and concessionaries are charged for trash but recycling is free. SEATAC is not only meeting the expectations of residents along the Puget Sound but they are saving nearly $200,000 annually in fees. Since 1993 when the airport collected 112 tons, the amount of recycles collected annually has grown to 1,706 tons while solid waste sent to landfills is now only only 1,444 pounds more than it was in 2001. The recycling rate at the nation’s best practice airport has increased from 9% to 30% in the past decade with a goal of 50% by the end of this year. This will exceed the 34.5% of municipal solid waste now being recycled nationwide. Most Americans have now learned to recycle at home. The challenge is getting them to do so when they are at school, work, shopping, eating out and/or traveling. Communities such as Durham, where residents have an extraordinary level of pride in their community, are lulled into complacency by resident values. But 2-out-3 people working here don’t live here and another 9 million annually are visitors. Studies such as those I have linked in this blog suggest that just as residents are less diligent about recycling away from home, non-residents may be even less so. Strategies in communities must take the entire street population into account, not just residents. More than 1-in-4 Americans make no effort to recycle including 1-in-3 Southerners. Apart from home, 60% of Americans recycle often at work. But the percentage who rarely or never recycle increases to 35% along town or city streets, 38% when out shopping and over 50% when dining out. Over 60% of Americans try at least sometimes to recycle when they are traveling, 18% rarely do and nearly 1-in-5 Americans never do. SEA-TAC has learned that the challenge is not just providing receptacles or making them ubiquitous (as shown in the image above) but also making them obvious. The ones I see along city streets where I live seem far too subtle. Even the ones being positioned in the new Diamond View III building that walls off the last remnant of the Durham Bulls Athletic Park from the Durham skyline may still be way too subtle. SEA-TAC International Airport has found the right balance of integration, aesthetics, placement and communication with its receptacles but its success comes from a strategic commitment to sustainability overall including related infrastructure. In fact, cities interested in studying this airport as though it were a community could find no better example to visit. On a cross-county plane trip 25 years ago to interview for a job in Durham, North Carolina, I happened to read Dr. David Hackett Fischer’s then-newly published book Albion’s Seed: Four British Folkways in America. One chapter in particular, “Borderlands to the Backcountry,” turned out to be an insightful introduction to my soon-to-be adopted home just as reading John McPhee’s Coming Into The Country had been a decade earlier as I relocated to Anchorage, Alaska in a similar capacity. 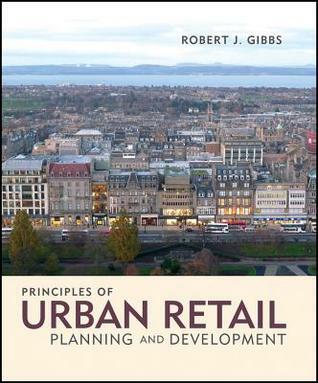 Having read books such as this allowed me to grasp the deep cultural influences in the DNA of these places, years before I would have otherwise, something crucial to my now-concluded career in community visitor-centric economic and cultural development. Reading Albion’s Seed also ignited a passion for family history, something I had only tinkered with prior. This all came to mind again a few weeks ago while reading “The Great Adventure of the Outlaw Blalocks,” Professor Philip Gerard’s installment in this month’s Our State magazine’s North Carolina’s Civil War history series. The true story is about a marriage on Grandfather Mountain between members of two Scots-Irish families, one unionist and the other secessionist who had been feuding since before the families had immigrated to America. They came here from along the border lands or marches that stretch southwest between Scotland and England down from Durham, England through the hills, valleys, lakes and uplands. The culture of their homeland also jumps across the Irish Sea to include Ulster where many had earlier been forcibly moved. Nearly a quarter of a million immigrated here between 1717 and the outbreak of the American Revolution, two-thirds in the last decade. Here they were called by the Americanism “Scots-Irish” but these immigrants would have called themselves either Scots or English or Anglo-Irish or Saxon-Scotch. The majority spoke English. They settled along the Appalachian Mountains stretching from New England in an arch down through North Carolina and across the “old” southwest of Alabama, Mississippi, Arkansas and then parts of Oklahoma, Missouri and Texas. They came primarily as families. Most were skilled or semiskilled but had primarily worked as tenants or renters on land held by absentee landlords. These homelands had been seared by seven centuries of wars between Scotland and England only to be marauded by large gangs of rustlers. Different than the branches of my family who came to America two hundred years earlier, most Scots-Irish other than the early Quakers did not come for religious reasons. Like my Scots-Irish family branches with names such as Harper, Buzby, Neeley, Crawford, Martin, McCrory, Laughlin, Gilmore, Bradford, Montgomery and Lowrie, these immigrants were proud, independent and resentful of being subordinate. Mostly the Scots-Irish immigrated for land and opportunity but their border land origins gave them what we affectionately refer to as a “cussedness” in North Carolina including an aversion to assimilation. This also included a distrust of governments, institutions and clergy, a reformist-dissenter sense of faith, a legacy of families that unified into clans for support and a belligerence toward other ethnicities including a xenophobic outlook in general that remains embedded in many today. This legacy also included a sense of freedom and liberty interpreted for individuals and private property but not applied to groups, something apparent today among gun rights adherents who insist on interpreting an amendment meant for militias as personal, no matter what harm guns do to society. In the 1840s, prior to the Civil War, nearly all of my Scots-Irish ancestors became Mormons and headed west past the Rocky Mountain “front” to settle along the “back-side” of that iconic mountain range. But they took with them many of the traits described above including pronunciations I heard in Eastern Idaho growing up, such as “deef” for deaf, “harse” for horse, “card” for cord and “wandered” for wondered, a deviation you can hear clearly in the iconic “He Stopped Loving Her Today” by the late George Jones. Today, nearly 6 million Americans have this heritage but as I have noted from reading Albion’s Seed, its cultural influence is felt much more broadly, especially in states such as North Carolina where even today you can still see it shaping otherwise seemingly inscrutable public policy. It is why a state that is well aware that its brand is its scenic beauty can give out-of-state billboard companies free reign to blight first and last impressions along roadsides by clear cutting billions of dollars of publicly-owned roadside forest. It’s why it will soon earn a reputation for mega-dumps. It seems illogical and self-destructive until realized that this springs from a resentment of restrictions on use of property even if the value of that property is parasitic to tax-payer funded roads and even though any benefit will go to a few narrow interests at great expense and harm levied on the overall population in terms of air and water pollution, global warming, etc. When I moved to North Carolina in 1989, I was aware that the state had been conflicted during the Civil War and that Scots-Irish, including many living in the South, fought valiantly on both sides or against both sides. Here were people represented both by those who truly embrace what it means to be American and those who remain a world apart, no matter how many generations their ancestors have lived here. This has been extremely well documented in a new book entitled, The New Mind of the South, by journalist and author Tracy Thompson. She traces how and why this region of the country seems to be divided by new and old cultural influences. The book reminded me that I had been aware that the month I interviewed here that it had only been ten years since Ku Klux Klan members had murdered five protestors sixty miles away in Greensboro. My interview had also been preceded just eight years earlier by the lynching of a black man by members of the Ku Klux Klan in Alabama, something common across the South for many decades following the Civil War. A few months after I relocated in 1989, I drove past a highway sign erected by the North Carolina State DOT on a U.S. Highway that signaled that a town 47 miles south of Durham was the home of a KKK Grand Dragon. A state official told me at a luncheon that my newly-adopted home town had always been a “black town” because it had a reputation as accepting of different ethnicities, cultures and lifestyles. Many I initially encountered who had been born in my newly adopted state before the mid-1970s were still eager to persuade me that the Civil War was not fought over slavery at all but rather because the South didn’t want to be told what to do as they had learned in school from propagandized texts. They were shocked and angered by what I had learned in school including irrefutable evidence that not only was the war fought over slavery, but only a decade following its end, Southern, white-supremacist Democrats had cut a secret deal. They would not dispute the one electoral vote election of Republican President Rutherford B. Hayes in return for the withdrawal of all federal troops from the south. What resulted was the evolution of 80 years of Jim Crow laws reversing much of the freedoms earned by that war. It isn’t hard to draw a line from there to the efforts by Republicans, this time in states such as North Carolina, now to roll back the progress that has been made since the 1960s. In many ways, there are two South’s today, one having taken the best from that Border Land culture, and one holding on to its most regressive influences more than two centuries after being transplanted to America. One of the hardest things I found to teach people during my now concluded career was to ask questions, or more importantly, the questions behind a question. Many preferred to waste effort instead on trying to decipher or guess what I wanted. 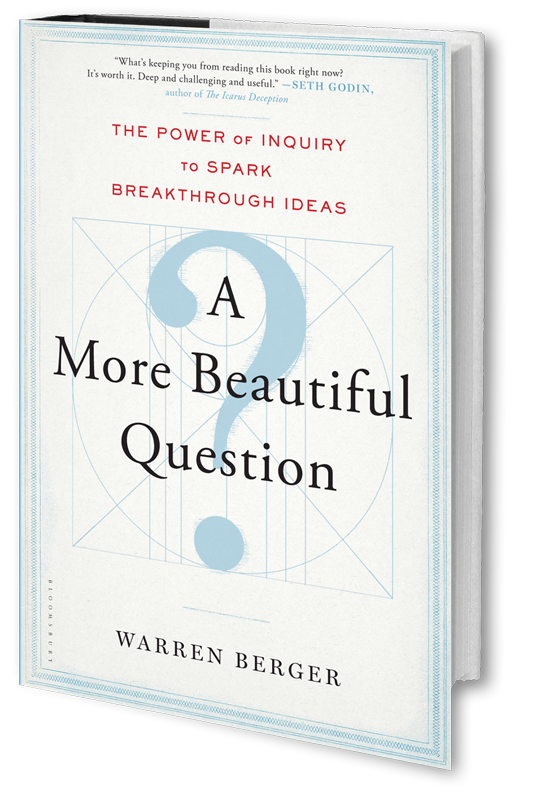 The reason this makes a difference is covered in a new book published this month by Warren Berger entitled A More Beautiful Question: The Power of Inquiry to Spark Breakthrough Ideas. In one section, the book describes why some people stop asking questions. As I did at that age when my dad nicknamed me “windy” for a time, researchers find that in a three year span from the ages of two to five, children ask about 40,000 questions. Starting with preschool, however, the number of questions asked drops off a cliff. This is when people begin to worry more about asking the “right” questions and when the divide widens between those with a “fixed” mindset and a “growth” mindset. Researcher Dr. Carol Dweck points to this difference, all things being equal, when some students are stymied by failure and others thrive. Berger, who I followed over my career when he wrote often for numerous marketing publications about creativity, cites the book by Harvard researcher Dr. Paul L. Harris entitled, Trusting What You’re Told: How Children Learn from Others. You have to earn trust. As Godwin writes – “Earn trust, earn trust, earn trust. Then you can worry about the rest.” A few weeks before "A More Beautiful Question” was published, I read another new book entitled, The Truth About Trust: How It Determines Success in Life, Love, Learning and More. It is written by Dr. David DeSteno, a researcher at Northeastern University who previously authored Out of Character: Surprising Truths About the Liar, Cheat, Sinner (and Saint) Lurking in All of Us. “Trust then,” DeSteno writes, “is a bet, and like all bets, it contains an element of risk.” He notes that “at the most basic level, the need to trust implies one fundamental fact: you’re vulnerable,” open to uncertainty. I’ve literally spent my entire life learning to trust. The day I was born, I began to decline. The first few months were a struggle as my parents tried a range of formulas to not only get me to gain weight but to stem the almost constant projectile vomit. That first deep winter on the ancestral Idaho ranch that was our home in that nook pointed into Yellowstone Park between Montana and the Teton’s shared with Wyoming, a family miracle occurred. One day when my dad went down into the cellar for another can of formula, none could be found where it had been resupplied the day before. So in desperation my parents fed me “whole” cows milk and almost immediately I began to thrive. As a result, my wiring was left with a sense of hyper-vigilance and a fragile sense of trust overall. I survived those first six months with both an indomitable drive and a near universal, subliminal vulnerability. “…it seems likely that this [asking questions] is an incredibly important engine for cognitive development. I got my share of “just because” and “because I told you so’s,” but overall my parents always made it safe to ask questions and fostered a sense of inquiry and imagination. Reading The Truth About Trust, more than six and a half decades later helps me not only realize how far I’ve finally come in being able to isolate failures of trust by others but also how much pain I may have caused others over the years when I didn’t. Gratefully, my answer is that it sure can. For more than two decades, the organization responsible for protecting Durham, North Carolina’s image and sense of place has surveyed both internal (residents) and external (neighbors, commuters and visitors) stakeholders. Following its lead, eight years ago the City of Durham began surveying its residents every other year on perceptions of that local government’s performance across many areas of responsibility. A more revealing way to drill down into data such as this is to measure the positive/negative ratio of those who feel very strongly either way. These tend to be the residents paying most attention. As Cornell’s urbanist historian and author Dr. Thomas J. Campanella famously noted, to his astonishment, how many “intelligent people don’t even notice there is a tree,” even when it is in front of their own house. -The ratio rating overall appearance and the appearance of gateways is negative. -The ratio rating mowing along city streets is 2.6 to 1 negative. -The appearance of roadsides is rated 3 to 1 negative. -The cleanliness of creeks is 3.6 to 1 negative. -The enforcement of junk and debris removal on private property is 4.1 to 1 negative. These findings should be cause for concern about the ripple effects of community appearance. On a related topic, a new documentary, The Science of Character, will premiere online and at hundreds of events around the world on March 20th as an 8 minute short film by award-winning filmmaker Tiffany Shlain. The film may include the “periodic table of character strengths,” which scientists have organized into six areas, three that are learned. One area is what scientists call “transcendence.” This includes an appreciation of beauty including a spiritual union with nature. It can be exercised to be more muscular. Dr. Michael Zimmerman, a researcher at the University of Colorado – Boulder, brings philosophy and other disciplines to the study of nature and the environment. He co-authored a book first published just as I retired entitled, Integral Ecology: Uniting Multiple Perspectives on the Natural World. The book and the related Integral Ecology Center is an outgrowth of a field that emerged in the 1990s. It is useful for those of us often caught up in a partisan either/or view of ecology from extremes. Unfortunately, all of this may be lost on those who are unobservant of nature, including many of those responsible for policy-making and upkeep such as those who allowed North Carolina’s Great Smoky Mountains to be made into an environmental disaster during just the first two decades of the 1900s. During the 1930s, Americans became ardent conservationists due to the work of the Civilian Conservation Corps. But eventually, the CCC became less environmentally calloused and that solidarity was fractured by a proposed skyline road along the Great Smokies’ 36-mile ridgeline. It was intended to be a Blue Ridge Parkway bookend to one above Virginia’s Shenandoah, but many Americans then saw the advantages of a “flankline” approach as detailed in the book, Nature’s New Deal: The Civilian Conservation Corps and the Roots of the American Environmental Movement. Long before the 1960s and 1970s, this schism divided Americans into utilitarian conservationists, holistic ecologists and preservationists, and of course, those who remained blissfully unobservant, whose ranks today miss the point about the important distinctions between native plant species and those that are alien or invasive. It was probably hard to be unobservant of a native American tree that averaged a hundred feet in height and 10 feet around such as the American chestnut. The largest recorded was 17 feet around in Haywood County, North Carolina in 1915 or so, a Great Smoky county made famous by the book and movie entitled Cold Mountain. A fungus that choked the water supply to native American chestnut trees was imported on some non-native seeds by a nurseryman in 1876. During the fifty year period between discovery in 1904 until just after I was born, 4 billion of the trees, which made up 27% of the “tree stand in North Carolina” and 25% of the hardwoods in the east, was extinguished. A few remain here and there including a wild American chestnut at 5,300’ near Wayah Bald, an overlook in North Carolina built the by the Civilian Conservation Corps in Great Smoky National Park. The largest of survivors were taken west along the Oregon-Mormon trail trail blazed by my ancestors 167 years ago. The largest is believed to be on Hawks View vineyard one of several which a friend and I visited in Oregon a few years ago on our way to a wonderful Inn for dinner. Alien diseases introduced in just the last decade are laying waste to the 8 billion ash trees in the United States, the greatest diversity of which is in the South, including several among the 100-tree grove in which I live. But the American chestnut, known as the Redwood of the east, was a keystone species, meaning one whose activities scientists have found anchored an entire ecology disproportionate even to its once prolific numbers. The American chestnut was not only preferred for utilitarian purposes but it had a powerful, outsized influence on wildlife of all sizes, carbon sequestration, the ecology of other trees, soil nutrients and the microclimate of our forests. So Scientists have been taking two parallel and viable routes to re-establish it. One, a breeding program, has hybridized it with a smaller but resistant Chinese version, a small orchard tree. But I am far more intrigued by the route taken by forest biotechnologists at State University of New York. Results from this approach are growing in Appalachian State University’s Durham Park, where I will guest lecture one day later this month. But to use a comparison, the genome of the hybridized American chestnut, if they were made of words, would fill a 180 page book, with 11 pages or 3,000 words in Chinese. I am more heartened by an approach based on mapping of the American chestnut genome and then inserting two to four genes found to give wheat resistance. The test trees grown this way, now numbering 1,000, are proving to be even more resistant to the fungus, With transgenic trees, only a couple of words in that 180-page book example would be different than the original, wild American chestnut. The progress is reviewed in the March issue of Scientific American by one of the lead scientists, Dr. William Powell, who co-chairs the Chestnut Research and Restoration Project at S.U.N.Y – Syracuse. The results are awaiting regulator approval before introduction into forests, but Powell and his team are diversifying the resistance in case the pathogen mutates, all part of 15 years of forest biotechnology including the innovation of new lab techniques. North Carolina-based Duke Energy is providing funding in hopes of using American chestnut trees to reforest former surface-mine sites in coaling mining sites in the Appalachian Mountains, such as those in West Virginia, and to offset its overall environmental footprint. Researchers at the Duke University School for the Environment based in Durham, where I live, have modeled the anticipated range of American chestnut tree restoration by 2050 and 2070. Not sure I will make it to be 102 years old but I will definitely observe American chestnuts flourish again in my lifetime, with an tree or two in my grove.